Do you have medium length hair? Making a stylish hairstyle is an issue? Then, here is an awesome guide to 6 easy hairstyles for medium length hair. Take a look at it now! Most women today prefer to sport medium length hair. While that might be the most practical hairstyle, it starts to lose its fun after a while. That’s why we have brought you 6 hairstyles that will let you experiment and have fun with your hair easily. 1. The Bouffant Pony: Whether it’s the Monday morning pre-work blues or something new to try out for a dinner party, this hairstyle is the perfect combination of casual and formal. All you need is an iron to straighten out your hair and get the deliberately messy look down pat. Work your crown into a puff and snap a rubber-band into place. Let a few tendrils lose to add a touch of glamour. 2. The Braid Tail: A simple pony tail at first glance, but the cute little braid ensures a second look. This is a great idea for a date night where you want your hair to look neat but chic at the same time. Just part the section away from the rest and braid it. Use some serum or hairspray to keep your frizz and flyaways in control. Keep a stray lock of hair outside your ponytail and secure your ponytail with a scrunchie and then wrap the lock of hair around it to master the look. 3. The Braid Fringe: The usual fringes are so overdone, it’s time for something new. Experiment with this hairstyle for a movie night or Sunday brunch. Simple part the fringe and a little hair around it separately, and braid it up. 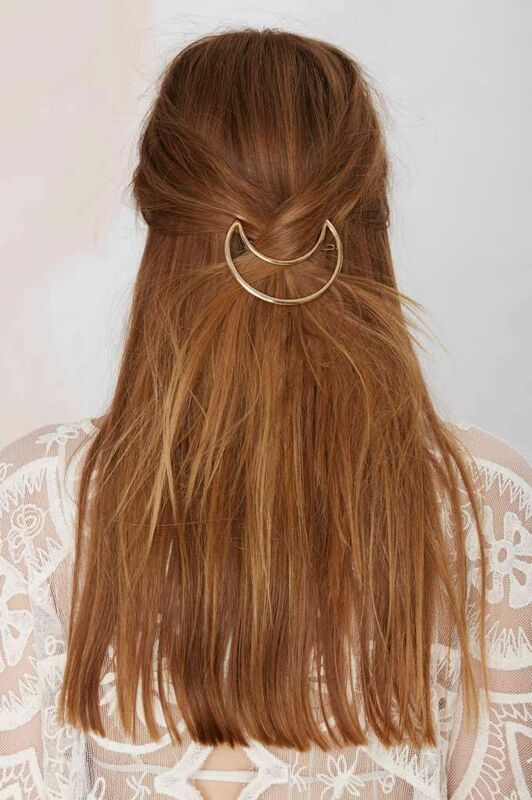 Use a pin to keep it in place and allow your hair to fall over it. Iron out the rest of your hair to get that pin-straight bob that has taken the world by storm. 4. 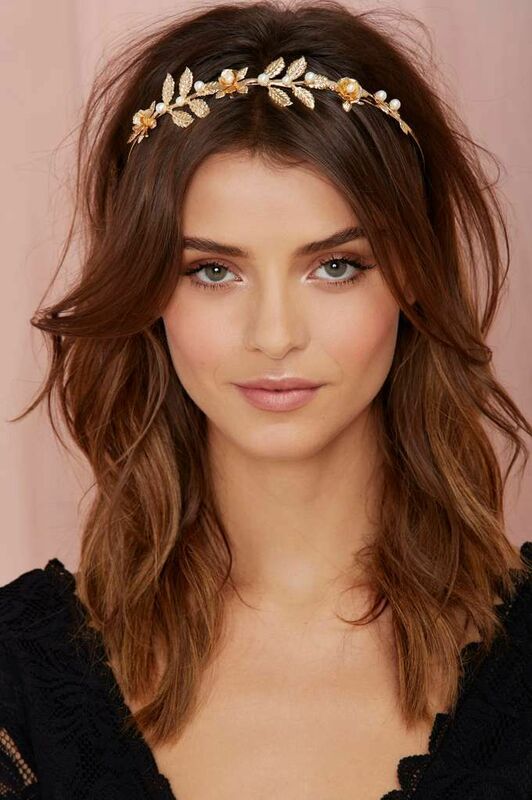 The Headband Crown: Accessorizing is the easiest way of upping your glam quotient. Give your hair a semi dry look by scrunching it up with leave-in conditioner. The idea is to achieve curls that are messy yet beautiful. Iron out your tips, to make your hair appear neater and place your headband strategically on your head. A lot of brands have created some really good styles in headbands so you are sure to find one that suits you! 5. The Mighty Pin: This hairstyle is a great way to break away from boring work hairstyles. It is presentable, it is chic and it keeps the hair out of your face. Blow dry or iron out your hair if it is not naturally pin straight. Then grab a lock of hair from either side of your face and use a gorgeous pin to tie them together. This look is so versatile, you can go from an early morning meeting to a late night party and still look fashionable! 6. 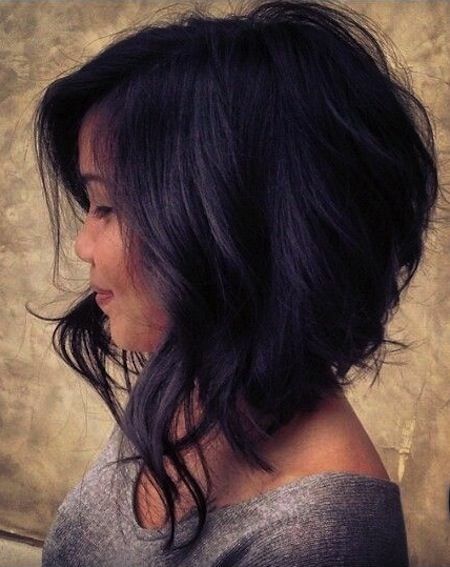 The Asymmetrical bob: We are often besieged with a desire to do something crazy and fun with our hair. This look is a great option for those trying to experiment with their everyday look. It’s a look that’s fun and sophisticated at the same time. Since only a few strands of hair are longer than the others, you can easily level it out, if you every get besieged with the desire to do something crazy again. Every look tends to drag after a while. The trick is to arm yourself with cool accessories, so that you can turn a boring hair day into a stunning one at any time.